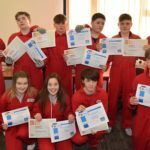 An interest in safety has been ignited in 10 S3 Campbeltown Grammar School students who passed a week-long fire skills course. 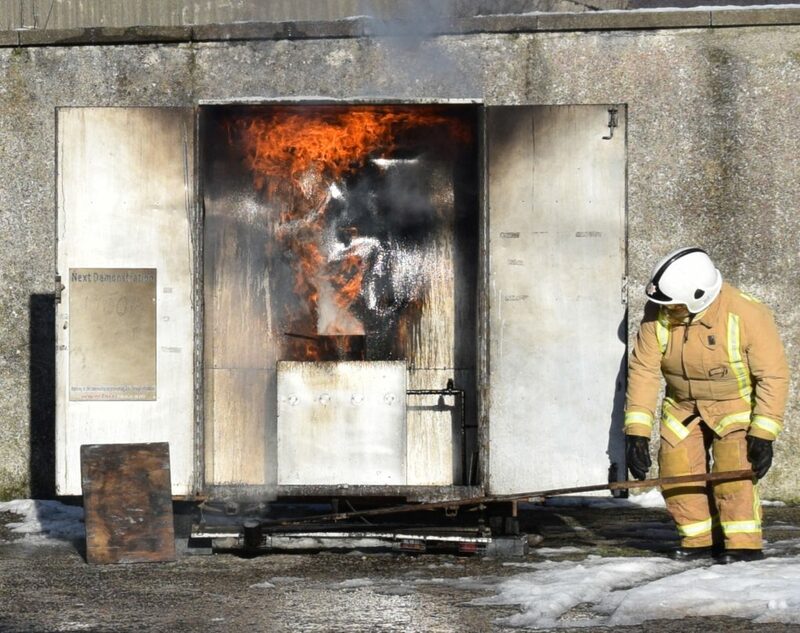 Helensburgh-based community fire fighter Iain Hunter led the course at Campbeltown Fire Station last week, which was attended by Daniel Blackstock, Greg Sargent, Glynn Harvey, Arron Glen, Aiden Hart, Campbell McCrae, Conner Mcmurchy, Jordan Todd, Ellie Hart and Jenny Souden. 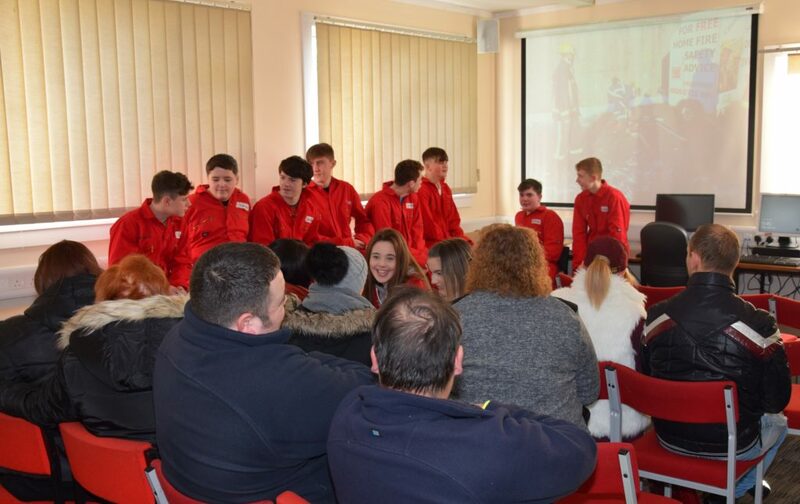 The youngsters invited family, friends and the school’s head teacher David Fyfe to watch a demonstration of their new skills, which included casualty extraction from a road traffic accident and a hose running drill to extinguish a chip pan fire. 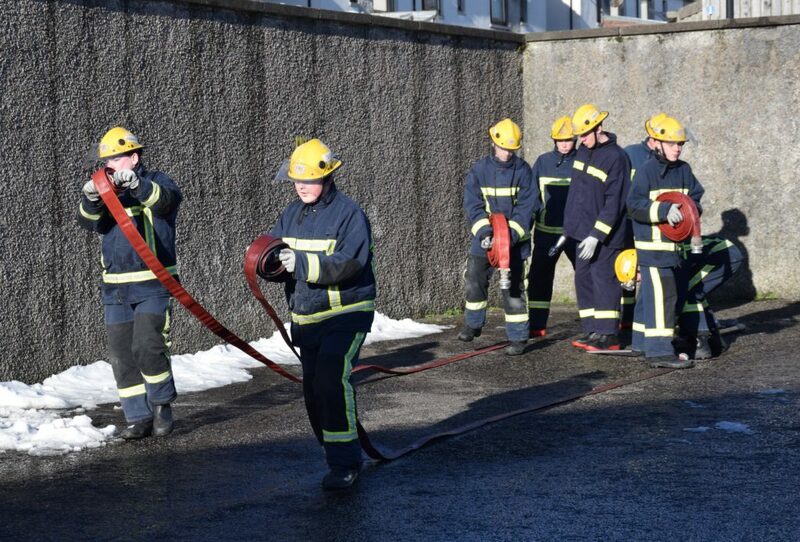 Although they practiced the hose drill using water through the week, they did a dry-run during last Friday’s demonstration as the yard outside was freezing. Spectators were stunned by the youngsters’ competence during the mock scenarios after only a week’s training. 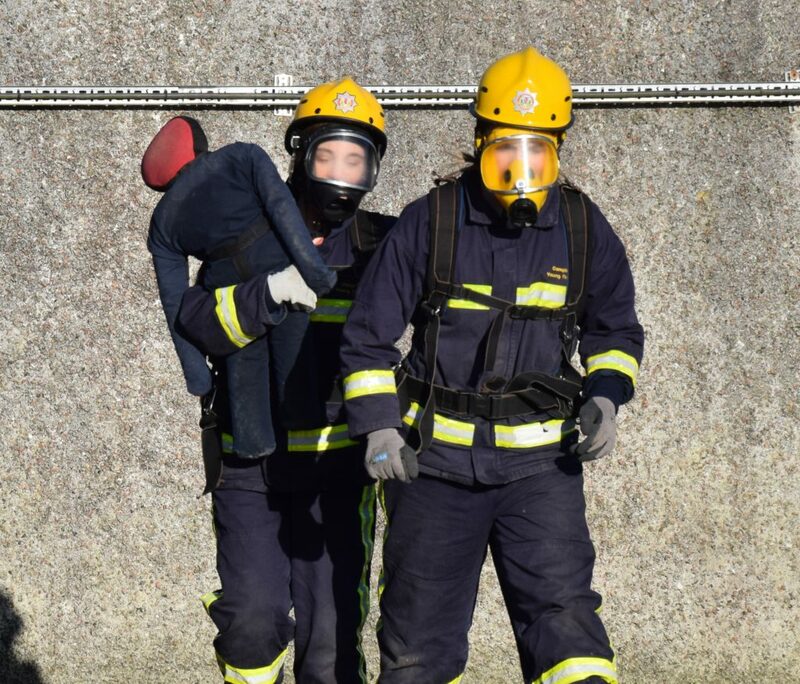 As well as learning fire fighting skills during the multi-agency course, the youngsters picked up first aid skills and demonstrated CPR on a dummy baby. 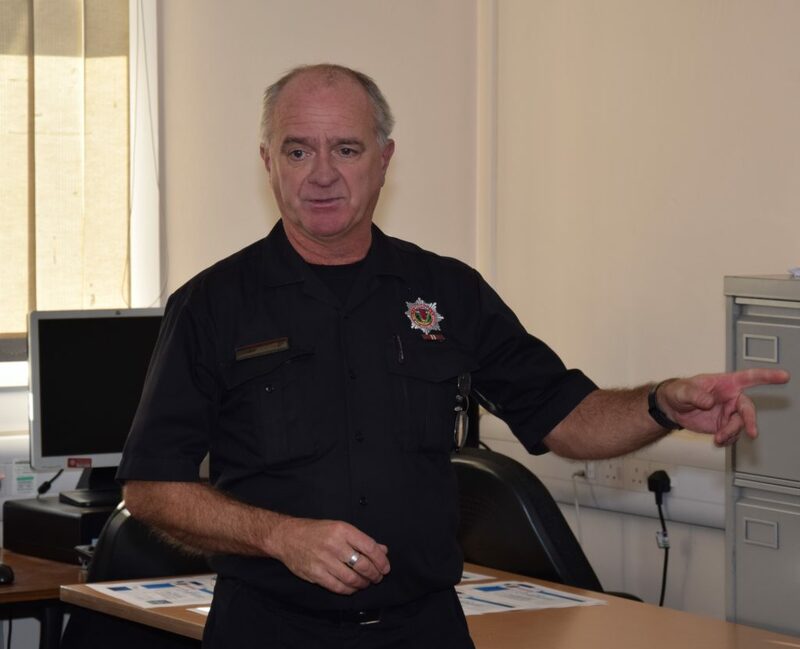 On Thursday, they spent a day in Oban where they visited the town’s fire station and airport. They also toured Campbeltown’s RNLI station and were given a talk on drugs by community engagement police officer, PC Karen Cairns. 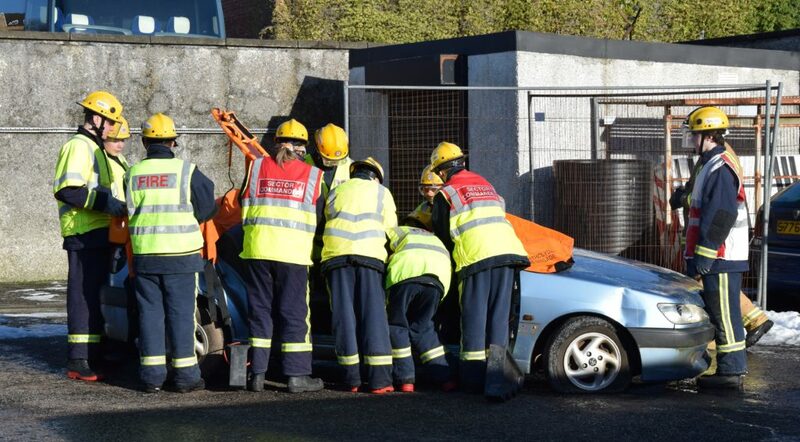 Mr Hunter thanked Ronnie Souden and the crew at Campbeltown Fire Station for the use of the premises and for cutting the roof off a car for use in the students’ casualty extraction demonstration. Mr Hunter and his colleagues David Millward and Colin MacColl, who are community safety advocates, encouraged the youngsters’ parents to seek home fire safety visits, which can be arranged, free of charge, by calling 0800 0731 999, texting FIRE to 80800 or contacting the local fire station. 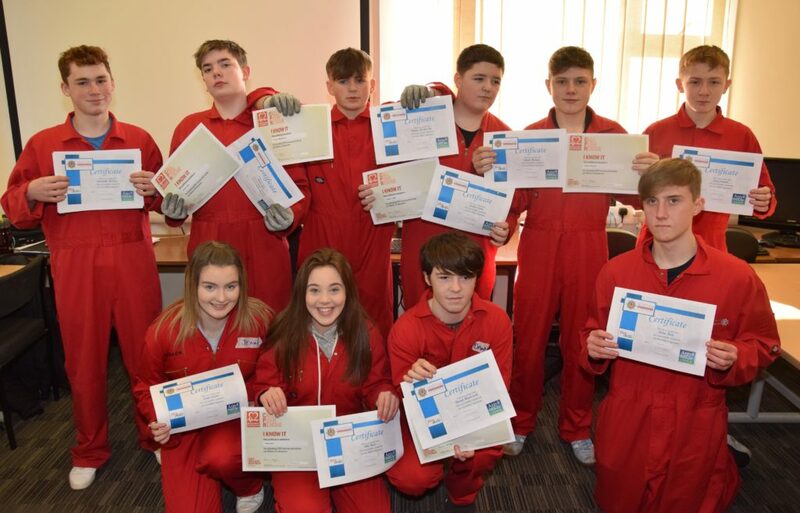 The pupils received two certificates, one from the British Heart Foundation to acknowledge their CPR training and the other from the Scottish Fire and Rescue Service and Argyll and Bute Council for passing the fire skills course. Mr Fyfe, who presented the certificates, said: ‘Thank you to the team for organising such a brilliant opportunity for our young people. Jenny and Ellie, the only girls on the course, are already fire cadets but having enjoyed their week’s training so much some of the boys are now considering joining.